​Our wonderful staff believes that through quality instruction that motivates with a caring and engaging classroom environment, dancers will develop a self- confidence that will let them be a star on whatever stage they choose in life. 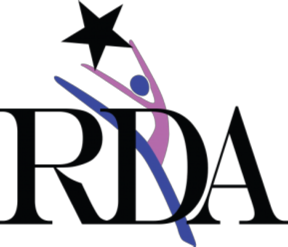 We have programs designed for both the recreational dancer, who enjoys dance as one of their many activities; as well as, for the competitive dancer, who loves and wants to excel at dance as their primary focus. Our program is focused on teaching the art of dance; we are where dancers train! All students enrolled in our programs, receive several opportunities to perform in the community. We feel these performances instill important teaching elements: self- confidence, responsibility, dependability, and teamwork. It emphasizes the importance of an individual dancer’s dedication to the group in which he/she belongs. Dance has also been shown to improve coordination of mind and body, and academic skills such as taking instruction, creativity, and memory development. All of which reinforces our goal to help our stars succeed beyond the stage and into life. We strive for our dancers to do more than wish upon a star; we help them reach for it. Enroll your child in our dance program and touch her/his life forever with the love of dance. We Would Love to Have You dance with us!